This unification theory, known as the Haramein-Rauscher metric (a new solution to Einstein’s Field Equations that incorporates torque and Coriolis effects) and his most recent paper The Schwarzschild Proton, lays down the foundation of what could be a fundamental change in our current understandings of physics and consciousness. This groundbreaking theory has now been delivered to the scientific community through peer-reviewed papers and presentations at international physics conferences. Further, The Schwarzschild Proton paper has recently received the prestigious “Best Paper Award” in the field of physics, quantum mechanics, relativity, field theory, and gravitation at the University of Liège, Belgium during the 9th International Conference CASYS’09. 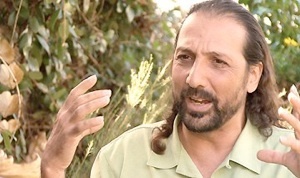 Fluent in both French and English, Mr. Haramein has been giving lectures and seminars on his unification theory for over 10 years. His lectures are multimedia presentations that lead his audiences through the validity of his theories with observational and theoretical data. He has presented at such institutions as the Department of Physics at Georgia Tech, the Department of Physics at University of Nebraska at Omaha, and Fellows of the Department of Education at the University of Montreal, and his unification model has now been delivered to the American Physical Society. In addition to his scientific papers, Mr. Haramein imparts this theory in a layman’s paper, a 4 DVD set entitled “Crossing the Event Horizon: Rise to the Equation,” and his international speaking tours.